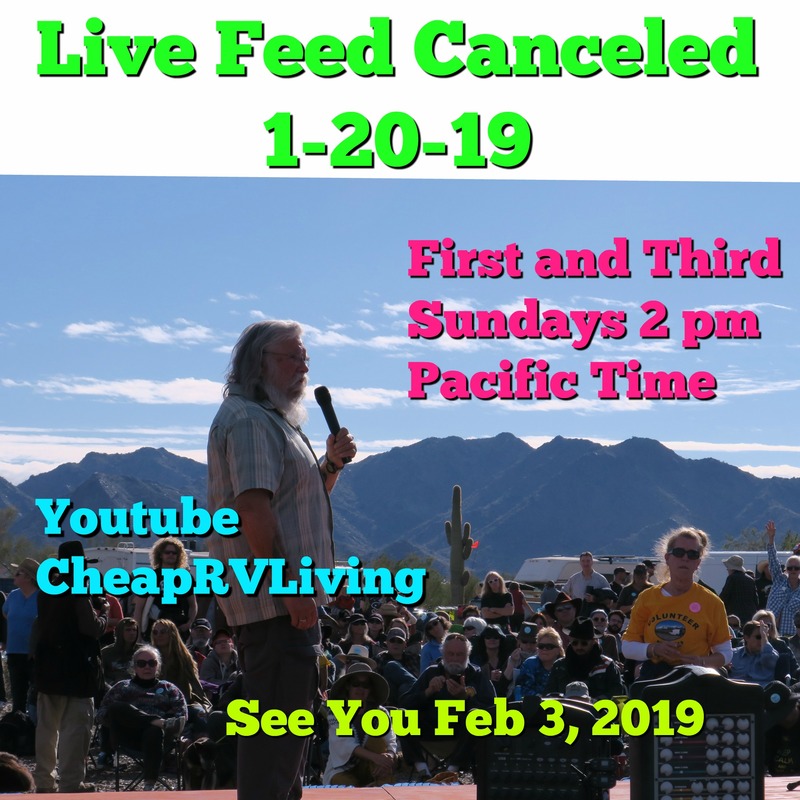 Cheap RV Living.com -Live Feed Cancelled 1-20-19. See You Feb 3, 2019! Cheap RV Living.com -Live Feed Cancelled 1-20-19. See You Feb 3, 2019! Live Feed Cancelled 1-20-19. See You Feb 3, 2019! The RTR is a huge success. Thank you all so much for coming. Everyone is making friends and have a great time. It is wrapping up on Sunday and I have a meeting at this time of day and can not go Live. My apologies! I will see you all Feb 3, 2019. 2 pm Pacific. On Youtube on the CheapRVLiving Channel.